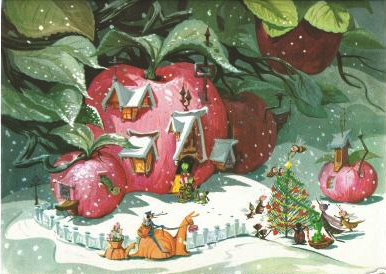 Hello everyone, I hope you are all having a wonderful December. I am Moi Sanom from The 35th of May. Sam and I decided to write Christmas guides a little while back. I am doing the skin care heavy post and Sam’s present ideas was mostly based on make-up. I am excited to present to you some new and exiting gift ideas and some true and tested oldies as well. I hope this guide will be able to inspire you to find some practical and effective products for your friends, family, cosmetic beginners and long time aficionados. I consider myself part of this group. The kind of people who prefer to buy samples before committing to a full sized item, that test a whole line in travel sizes to see if it really works for their routine. 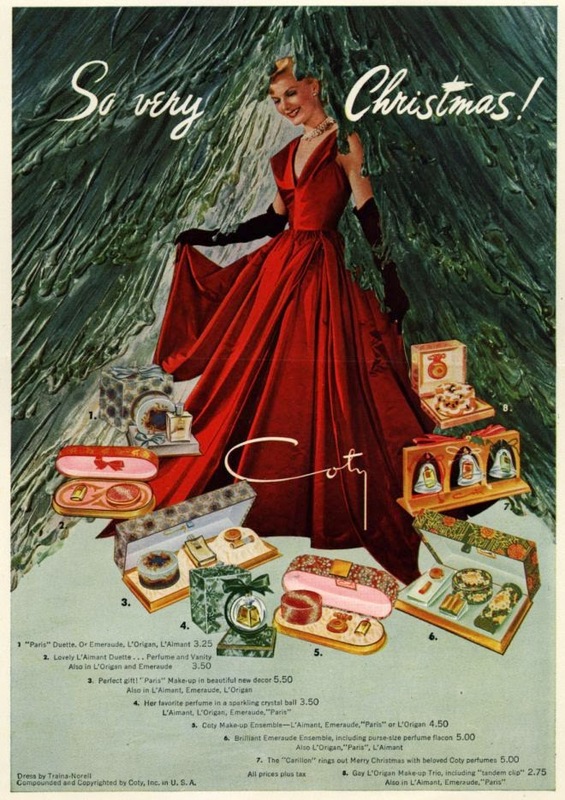 Fortunately, there is a lot of deluxe and travel sizes available and some beautiful sets are around too. I have started using Iope a few months ago and their mid range products have all been wowing me. This Moisture Intense special set is great for normal to dry skin tones as it is both hydrating and rich, the Moistgen Skin Hydration set is meant for dehydrated skin but could also work wonderfully for normal to dry skin types. 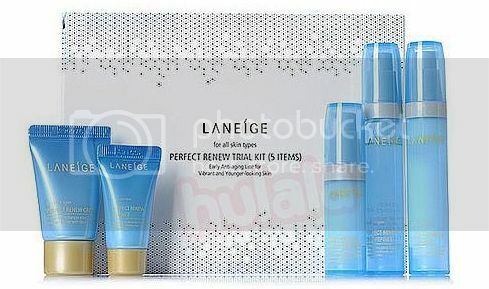 This 5 product Laneige Moisture set is not only ideal for any skin type and a great introduction to the brand. If you want to give someone something really fancy without spending all that money this Hanyul Tristige kit is perfect. Snail Mucin is a gods gift for skincare fanatics and fans of all things weird and odd. Besides being a fun ingredient it is also a great active in skincare. If you have not ventured into snail territory yet the Mizon Snail Recovery Gel is super cheap and also great as a multi-purpose item. I am on my gazilionth tube and use it for practically everything. My favorite snail products to date are from Nature Republic, these two sets are a fantastic introduction to their amazing Snail Solution line. Tonymoly recently released a snail line that contains ferments as well. Fermentation is an active just as amazing as Snail Mucin so having them in one product is a fermented snail dream come true (doesn't sound too tasty, but I am sure it is heaven on the skin!). If you aren’t into sets but prefer buying single products that are better suited for your skin type, I have you covered as well. My absolute favorite moisturizer of all time is this adorable Vanpir Cream by Ladykin. It is heaven in a jar, the cute packaging and high end look are a bonus that makes it even nicer as a gift. Skinfood has recently released a gorgeous looking line called Miracle 10 Foods, I have been using the cream for 3 weeks now and really like it. It is great for any skin type as a night cream or occlusive and soothing to my dryer skin during the day. Since I consider pretty packaging to be important when it comes to Christmas gifts, I also would like to mention Skinfoods Royal Honey Propolis Essence. I am a big fan of honey as an ingredients and this bottle looks too pretty to pass up! Innisfrees Green Tea Seed cream is widely raved about as a fantastic watery moisturizer suitable for all skin types. It is currently available in a large size with an adorable DIY Ornament to boot. Iope strikes again with this lightweight watery cream that is fantastic for any skin types but especially my oily and combo skinned friends. For everyone looking for a powerful actives the C20 Vitamin C serum is truly as amazing as everyone says it is. It reduces PIH and fine lines while giving your face a slight exfoliation. Skinfoods Black Sugar First Serum is touted as an all around miracle worker which I can’t wait to start testing. To be honest skincare for men is basically skincare packaged in fancy bottles with different scents. That being said, fancy bottles and manly scents can be the only way some men touch skincare. Some of these products are very good and are suitable for anyone who has skin. I have tried a few products by The Saem and they have all performed outstandingly! 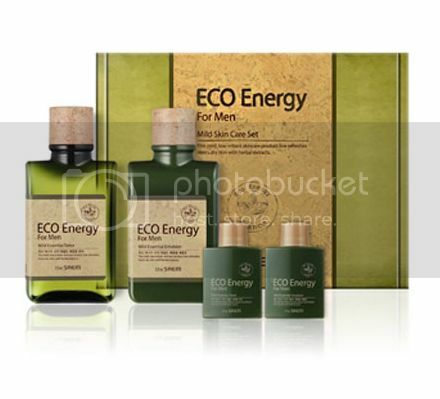 The Eco Energy set is specially targeted at sensitive skin, something many men deal with especially when they shave regularly. I came across this Tea Tree Emulsion by Skinfood while searching for Mens products suitable for acne prone skin. It looks very appealing and Tea Tree has worked fantastically in the past. It is already on my to buy list. When I first saw this Vanpir Set by Ladykin I was so smitten I was about to buy my mans Christmas gift in August, I held back even though I had so much success with their products so far. If it is only half as good as the other Vanpir products, this is indeed a must buy! Possibly one of the most adorable sets I have ever seen! I don’t mean dead people of course, unless you have vampire friends or like to hydrate your dolls. Here is a collection of products that are not for your face and thus I decided to put them all in the body category. I love hand creams, well actually I hate them. I used to at least. Most hand creams I used are thick, sticky and make me feel like I need to wash them off immediately. The worst part is that they never hydrate enough either. Korean hand creams are quite wonderful and I have quickly become obsessed. This new Castle set by Etude House must be one of the most adorable sets I have ever seen. 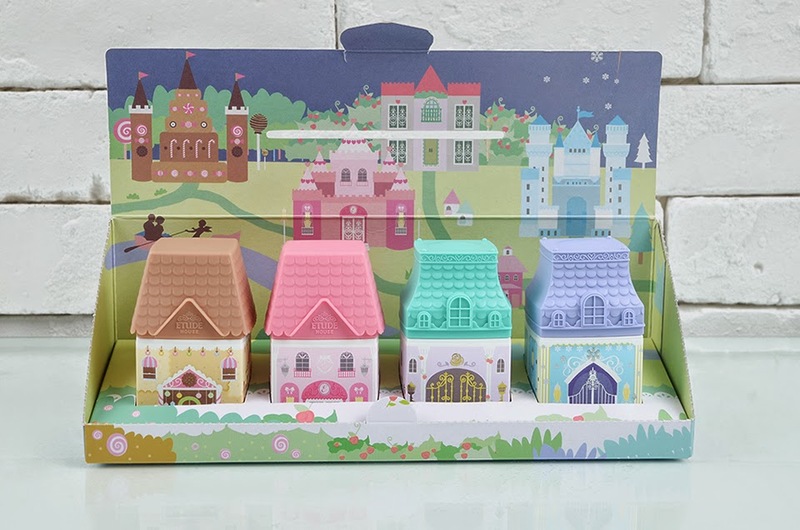 I love cute pastel stuff and I love fairy tales so how could I resist a tiny castle hand cream. I currently own the brown one and besides smelling delicious it is also lightweight yet hydrating. I didn’t even realize how much Skinfood was going to appear until I finished this list. This hand cream is from their new Christmas Collection and besides being adorable, boast some fantastic ingredients such as honey and shea butter. Here is something for the hair; The Spa Vita Berry shampoo has been my go to rinse for the past month and I really like it. It smells fantastic, cleanses thoroughly and leaves my hair pretty and shiny. 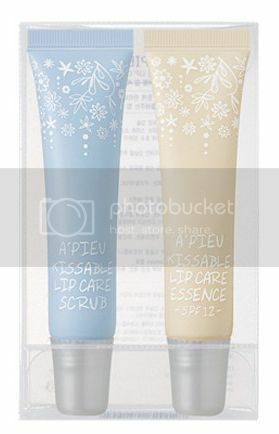 The lips shall not be ignored of course and the Kissable Lip Care Kit by A’pieu seems like a great gift with its wintery theme. Misshas famous First Treatment Essence is sold here together with their touted Night Repair Science Activator Ampoule. There is a large and a trial set available for those who want to see if the hype is based on the truth. Another set by Missha is the Super Aqua Waterful set. The cream is very hydrating but still light which makes it suitable for any one with dry to combo skin. For the oily and combo skinned the Essential Source by A’Pieu set looks quite delectable, promising to deliver a good deal of hydration through Hyaluronic acid. Let’s not forget everyone with sensitive skin! This True Minor Full Soothing set from Mizon looks truly soothing indeed. Strange name aside, it caters to sensitive and dehydrated skin which is a combo that is often difficult to find. Well, I guess this post has become much longer than anticipated! I hope you can find something that suits all of your needs, and that the large pool of Asian skincare Christmas gift possibilities has been narrowed down a little. 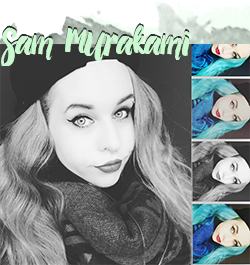 To see more inspirations of the makeup persuasion head over to the 35th of May and check out Sam’s post. Thanks again for having me and I hope you will all have a fantabulous holiday time! ...and thank you Moi for the wonderful collaboration! Please give a warm applaus for today's guest-blogger and we hoped you enjoyed this little Christmas edition! There was a time once it had been uncommon for ladies to be seen lifting weights at the athletic facility, and this can be currently a plan that's as noncurrent as men not having the ability to induce the skin care treatment they need and merit, for more information click here mens grooming.